Sunday, November 18, 2018, 2:30 p.m. 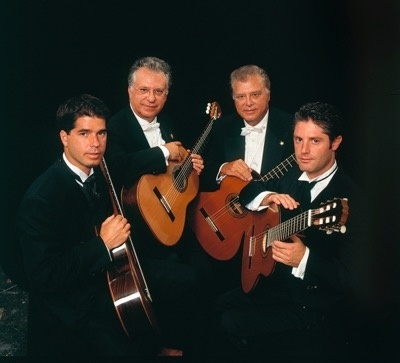 Known as “The Royal Family of the Guitar,” the Romeros were the world’s first classical guitar quartet—and today, nearly six decades later, they remain a phenomenon unlike any other. Their lineup represents three generations—including original members Celin and Pepe—and serves up a lasting reminder that the family that plays together stays together. Program will feature music by Albeniz, Falla, Villa-Lobos, and others.